Hello all. I was feeling very confident after scoring a 760 and a 700 on the first two GMATPrep tests. After another week of studying, I took two Veritas practice tests and scored 630 and 660. Anyone experienced something similar? I'm trying to figure out a game plan now. Same happened to me. I think Vertias Prep gives scores around 50 points lower than your real score. I was getting scores around 650 and my real score was around 700. The scoring algorithm on the Official GMAT is far more complicated than most people realize. Since that algorithm is proprietary, no GMAT company has an exact match for it, thus CAT scores can vary a bit based on the 'biases' involved in their respective designs. A far more useful gauge would be to review each CAT and determine how many questions you SHOULD have gotten correct, but didn't (due to a silly/little mistake). 1) Did you take the ENTIRE CAT (including the Essay and IR sections)? 3) Did you take them at the same time of day as your Official GMAT? 5) Did you ever take a CAT more than once? Glad to hear it. That's encouraging. Nice score. GMAT Prep CATs are the best indicators of your current standings. The other CATs are no dount very useful for practice, but always take the scores with a pinch of salt. However, I see a huge difference between the two scores. Did you take the full length CAT including AWA and IR? Super encouraging to hear people have had the same experience. Both my GMATPrep results were 740 - took the first one before studying and the second after getting through the MGMAT guides and the OG questions. After reviewing my mistakes and some additional studying, I took the 2 free Veritas CATs and got 650 each time. Wasn't happy about that at all! 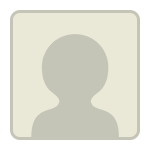 Originally posted by ninabergoc on 11 Dec 2015, 06:53. Last edited by ninabergoc on 11 Dec 2015, 07:00, edited 1 time in total. Similar situation. I was 710-720 for GMAT Prep. Did the 640-650 for Veritas 3 weeks out and it really shattered my confidence. I found the Veritas verbal to sometimes be ambiguous. Went back to GMAT prep and got back to 720. 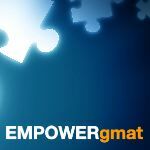 I ended up 710 GMAT Official Q48V39. Best of luck. We can't comment for other tests but do note that no test prep company's algorithm will exactly match the real thing. The best we can do is get close. In terms of our scoring, many of our students report scores that are +/- 30 points from their actual GMAT test and so are a relatively good indicator of their performance. That said, no practice test can perfectly replicate the actual score algorithm, but this is quite close. Just an update. So as I said before, I scored 760 and 700 on the first two GMATPrep practice tests, studied some more, then got a 630 and a 660 on the first two Veritas tests. I bought GMATPrep's Exam Pack 1 and just took exam 3. Got a 750. Will take exam 4 soon and the test shortly after that and will post updates. I can confirm the majority view in this thread. I took Veritas pratice tests right at the beginning and towards the end of my prep and scored 650 each time (Q43/V36 and Q44/V36). 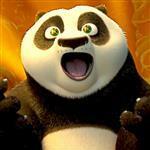 In my GMATPrep tests I scored 760 two times (Q49/Q44 and Q49/Q45). My second approach on the Veritas pratice tests falls between the GMATPrep tests. A few days ago I took the real GMAT exam and scored 770 (Q49/Q47). Consequently, I think the GMATPrep results are far more accurate in predicting your score than Veritas practice tests are. Personally, I perceive a rather significant difference between official GMAC questions and Veritas (and any other 3rd party) questions. For example, I was struggling with CR in Veritas while this was one of my strongest areas in the official tests. The GMAT has just a very special and elegant way of asking questions, which most unofficial questions fail to imitate. The GMAT has just a very special and elegant way of asking questions, which most unofficial questions fail to imitate. Echo this. That's not to say that every single third party question is bad. But, on the whole, you're better off sticking to Official GMAT questions. When might you use third party material? 1. Skill builders. You may want to do a whole bunch of tough exponents practice but not find enough of it in the Official Materials. In this case third-party questions can be helpful. 2. There are some questions that are under-represented in the Official GMAT Materials that I know are on the real test. 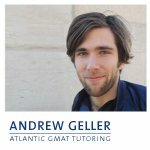 For those questions I'll supplement using Atlantic GMAT or other companies' materials. 3. LSAT Logical reasoning for GMAT Critical Reasoning practice. But, at this point, because there are a whole bunch of Official GMAT CATs (and you can use QP1 to make little exams + don't forget about GMAT Focus) I don't assign any third party CATs to my GMAT tutoring students. Why bother if the scoring and the flavor is off? The exception: if someone has been studying for a year and is completely out of materials. In that case, you don't have much choice. Hope this is helpful! If you found my post useful KUDOS are much appreciated. Agree. LSAT LR and RC both are very good source of "official" questions. When I say "official" , I mean straight from the question makers of LSAT. As this is also a standardized test, the questions will be of highest quality. I ran out of official GMAT materials for my 3rd attempt and I then ended up using LSAT LR and RC extensively for practice and saw definite improvements (690 to 750 with V34 to V44 in 1 month). But only use any non GMAT material after you have exhausted all official questions (OGs, paper tests, EP1, QP1, GMATPREP free etc). Veritas has recently changed its algorirthm. Last year, I took about 5 tests and scored in the range of 720-760 and ultimately scored a 720 on GMAT. I took 2 mocks recently and I scored a 670 in each although the percentage of questions I marked right is more than when I got a 760. I also got worried about this initially but one of my friend also confirmed this. Good that I found this thread because I was feeling pretty down yesterday. I took one GMAT Prep and got 660 and took Veritas Prep yesterday and only got 620. Just as FYI: based on the GMAC's data 40 points is not a meaningful difference (though I can see how someone could disagree).... they believe there is a standard error of about 40 points (I guess they made some poor dude take 2 tests in a row). This is due to the question database, topics tested, and just personal performance on different days. In any case, good your score is higher! I took the actual GMAT today and got a 750, FYI, so yes, either I for whatever reason sucked at the Veritas tests or they are significantly harder. Practice CAT scores are only as realistic as YOU make the process of taking the CAT. The GMAC Scoring Algorithm is proprietary, which means that no other Company has an exact match for it - while each Company's CATS have some built-in 'biases', the more the 'CAT-taking event' deviates from what you'll face on Test Day, the more likely the score is to be inaccurate (and in most cases, that means "inflated"). 2) Did you take it at home? 3) Did you take it at the same time of day as your Official GMAT? 4) Did you do ANYTHING during this CAT that you couldn't do on Test Day (pause the CAT, listen to music, etc.)? The GMAT is a predictable, standardized Test, so you CAN train to face not only the Exam, but also every aspect of the actual day you take the Test. 770 - 800score.com - 4 min remaining. 720 - Veritas - damn could complete only 38 questions with 2 min remaining for 3 questions, In addition i got a passage whose questions were global full passage questions. - cannot even guess. I think Veritas is damn hard and has the MOST INTERESTING CR and SC questions. Every CR question was great.